Website realizer is a windows web design software. 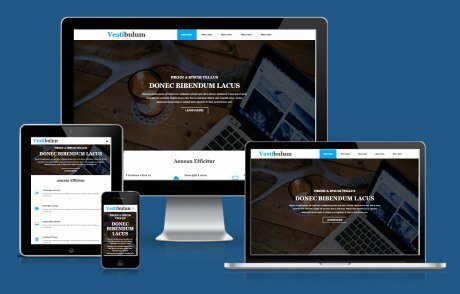 It comes with free templates and includes all the necessary tools to create your websites for desktop, tablet and mobile devices. Just drag and drop images to the pages and add text using a what-you-see-is-what-you-get (WYSIWYG) like editor. All HTML code will be generated automatically. There is no need to re-arrange elements specifically for tablet and mobile devices, just select layout rules appropriate for each type of elements. Browse through some sample websites to see what can be created. Website Realizer makes it simple to manage your files with its built-in Website Explorer. Create, rename or move files or sub-directories, and the links referencing them will be updated automatically. You will even receive a warning if you try to delete a file that has links referring to it. Layout your website using responsive web design techniques to make your pages look good on desktop, tablet and mobile devices. Select options that are appropriate for each element in tablet and mobile layout and it will adapt according to the width of the browser window. There is no need to rearrange elements on a page for different breakpoints. This software includes all the necessary tools to build and design your web sites such as Navigation Bar Editor, CSS Style Editor, Image Editor, Image Shrinker, Web Button Creator, Bullet Image Creator, Color Analyzer, QR Code Creator, Font Format Converter, Google Font Manager, Font Subsetter and External Links Checker. A search engine is also included. You can style your whole website using CSS styles. Just create CSS styles in the CSS Style Editor and then apply them to the elements on your pages. Globally managed styles make it easy for you to change the theme of your website in one place. Insert images, text, table, form, audio and video files on the page and move them freely to the positions you like. The WYSIWYG editor used for entering text allows you to mark your text with heading tags (H1 - H6) which are important for Search Engine Optimization (SEO). Furthermore, it also allows you to add images and wrap the text around them. Use the included website templates to get you started quickly. Choose the one that has the layout that you want. Replace the text and the images on it. You can use a template page to store common elements such as logo, navigation bar and copyright footer that will be used by all other pages. Any changes made to this template page will be updated to all pages that use this template page. Furthermore, you can mark certain elements on the template page as "footer". These footer elements will be moved below other elements on a page that uses this template page. Publish directly to a web server using the included FTP / SFTP / FTPS website publisher. The publisher that comes with this web design software supports Secure File Transfer Protocol (SFTP) and FTP over SSL/TLS (FTPS) which encrypt your login information and file contents when your sites are published. The publisher can also synchronize the files between the local website and the remote website after publishing. You can add PayPal to your website to accept payments. We supports PayPal Buy Now, Add to Cart and Donation Buttons. We also support PayPal encrypted website payments to secure your PayPal buttons. The encryption hides the payment details so they cannot be seen by anyone viewing the website source code in a browser.